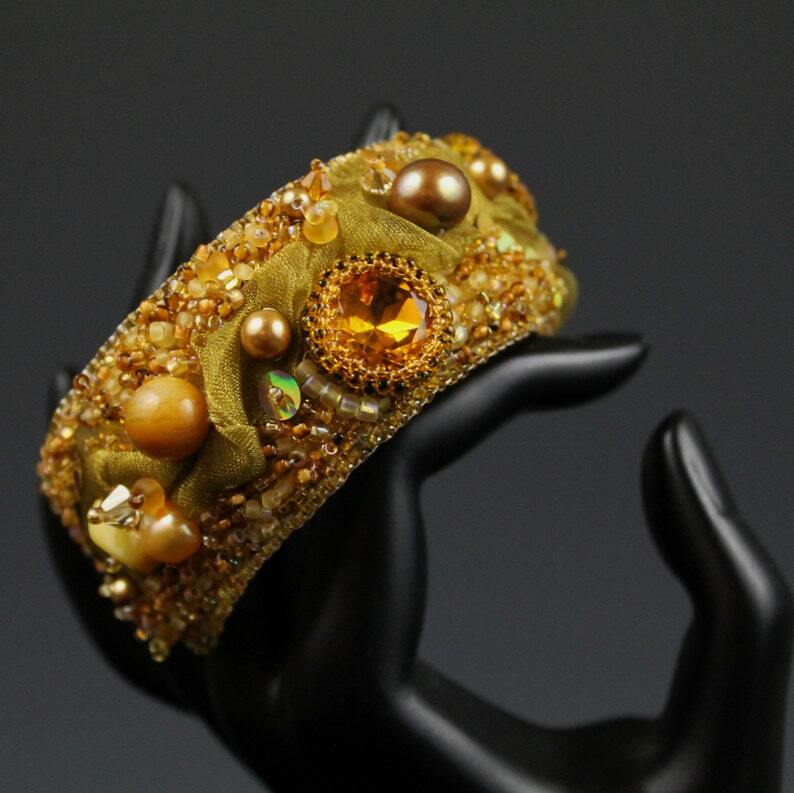 This beautiful one of a kind cuff, features two large vintage crystals, with gold ribbon twisted and tucked amongst pearls and small Swarovski crystals. All is hand sewn on a brass cuff and backed with real gold leather. Cuff is adjustable to fit.